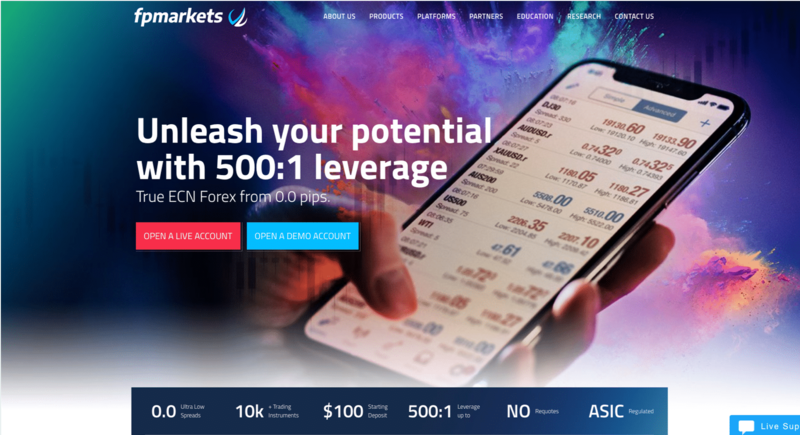 FP Markets proclaims itself “Australia’s #1 CFD Broker” on its homepage, and while making such bold statements is a sort of industry-wide practice these days, in FP Markets’ case, there certainly is some substance to it. The claim is justified through the listing of some 35 industry awards the brokerage accrued over its existence, awards which cover just about every aspect of the operation. The Highest Overall Client Satisfaction Award for instance, certainly gives one some bragging rights. The same goes for the Best Customer Service Award and the Best Trade Execution Award. Legitimacy-wise, these guys certainly do not have anything to hide: in the About US section of the official FP Markets website, a massive trove of legal documentation is made available, which covers everything about the brokerage and the company behind it. The company is First Prudence Markets Pty Ltd. and it is a registered Australian company. Its ACN number is 112 600281. It also possesses an Australian Financial Services License (#286 354). The activity of the brokerage is regulated by ASIC, one of the world’s top financial regulatory agencies. The overall trader feedback is in line with the first of the above-mentioned awards: the overwhelming majority of clients are indeed happy with the services offered by FP Markets. There are a few dissenting voices of course, but that is to be expected from an operator with such a long history. Besides legitimacy and experience though, a fx broker has to deliver on other fronts too, if it wants to stay afloat in this day and age. FP Markets’ transparent, Direct Market Access pricing is certainly another major asset in this regard. The market coverage is again a major plus. Through its CFD offering alone, FP Markets covers more than 10,000 equities, indices, commodities and forex pairs, though it has to be noted that the vast majority of these assets are in the equities category. The actual Forex market coverage of the operation is decent as well. Other strengths of the brokerage include a very attractive minimum on deposits (AUD/USD/EUR 100) and the fact that accounts can be opened in under 5 minutes. The main company offices are located at Level 5, Exchange House, 10 Bridge St, Sydney, NSW, 2000. Offices are maintained in Beijing and Shanghai too, each with their own contact phone numbers. The Asia-Pacific focused nature of the operation is undeniable. FP Markets feature two main product classes: CFDs and Forex. Of these, the CFD class carries the bulk of the asset selection, more precisely its equities sub-class does. Although at one point, shares are mentioned separately, they do in fact fit into the CFD class. Besides regular CFDs, which allow for the use of leverage, FP Markets offer special, leverage-less CFDs as well. The stock-based CFDs featured by the brokerage cover 4 continents, and all pricing is done through the DMA model. What exactly does this mean? Direct Market Access pricing is about accessing the order book of the exchange. Settlement on stock CFDs is instant and the margin rates are very competitive. The indices CFD category covers 9 DMA indices and 9 CFD indices. Commodity-wise, there are just 3 CFD commodities (WTI, Gold and Silver) and no fewer than 15 DMA commodities, including exotics such as soybean, cattle feeder and corn. An advantage of commodity trading is that on weekdays, the commodity markets are open almost 24 hours a day. The Forex trading product class brings some 45 currency pairs to the table, from majors all the way down to exotics. Spreads on some of these pairs can be as low as 0.0 pips (more on that in the account types section below). FP Markets features two platforms: one for CFDs and another for proper Forex trading. Both platforms are cutting-edge, featuring scores of analysis and trading tools and various additional facilities such as EAs and a VPS service. The platform used for CFD trading is the latest version of the IRESS Viewpoint platform, which is indeed close to being the equal of industry leaders such as MT4. Built on HTML5 and thus entirely web-based, IRESS is surprisingly powerful when it comes to charting and analysis. It comes equipped with no fewer than 59 technical indicators and some 50 drawing tools. The platform features comprehensive time interval selection and it allows traders to fully customize their charts, saving their chart templates for later use. Indeed, short of MT4, IRESS is probably the best trading platform in existence. MT4 is used for Forex trading. Although MT4 is obviously the industry-best at this point, it has a major drawback when compared to IRESS: it is not web-based. MT4 has to be downloaded, but on one hand, that shouldn’t be a problem for any serious trader, on the other: it can be grabbed directly off the FP Markets website. FP Markets have made sure to allow for the full range of MT4’s capabilities to come into play. Besides the technical indicators (50 of which are pre-installed), the platform also offers access to Expert Advisors and an editor used for the creation/tweaking of these EAs. To go with that, there’s a VPS deal on offer too, which is meant to provide the reboot-free running of EAs. The MT4 trading interface can be fully customized, and that goes for the charts too, templates of which can be saved for later use. In addition to all the above, FP Markets also feature MAM/PAMM options for those looking to manage multiple client accounts. Money managers will likely appreciate this perk, even more so because it grants them proper access to a serious and trustworthy trading destination. A demo account can be had at FP Markets too, with $10,000 in virtual funds. To access the account, one will have to download and install MT4 though. There are three account-types available on the IRESS side of the operation and two on the MT4 side. The Professional account is the “basic” option on IRESS. It requires a minimum deposit of $1,000 and it comes with a bunch of additional fees, which can be eliminated by reaching certain commission-targets. The other two accounts are Platinum and Premier. The minimum deposits on these are $25,000 and $50,000 respectively. The Standard MT4 account is the cheapest: the minimum deposit on it is AUD/EUR/USD 100. The spreads on this account are pretty big though. 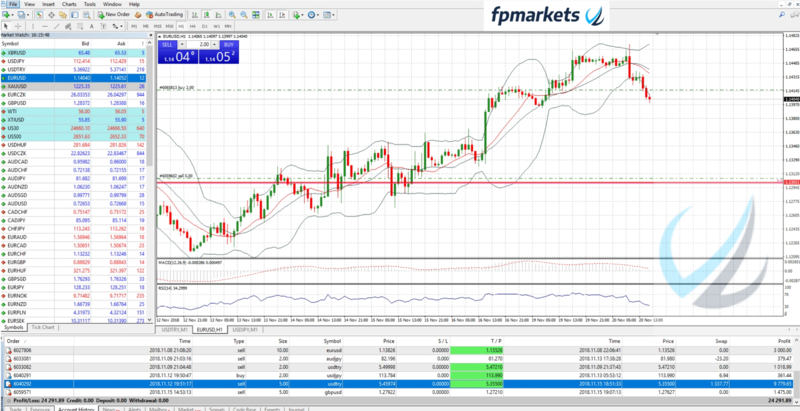 The ECN RAW account costs AUD 1,000 and it features spreads from 0.0 pips. FP Markets is a very real and legitimate Forex/CFD brokerage. There is nothing too-good-to-be-true about it. If features two superb trading platforms and good deals for retail as well as institutional investors. It even runs a White Label program for those pondering the setting up of their own online brokerages. There is a high level of risk associated with trading foreign exchange on margin and it may not be appropriate for all types of investors. The high degree of leverage can either work for you or against you. Before you decide to invest in foreign exchange, it is recommended to carefully assess your investment goals, experience level, and your desired amount of risk. No information or opinion stated on this site should be considered a solicitation or offer to buy or sell any currency, equity, or other financial products or services. Past performance does not predict or guarantee future performance. CFDs are complex instruments and come with a high risk of losing money rapidly due to leverage. Between 74-89% of retail investor accounts lose money when trading CFDs. You should consider whether you can afford to take the high risk of losing your money. Read our legal disclaimer. Copyright © 2019 Forexcharts. All Rights Reserved.